Diseño de Packaging y supervisión producción Sleever. Sherry maker González Byass has released a limited edition bottle of Tio Pepe made exclusively for the travel retail sector. 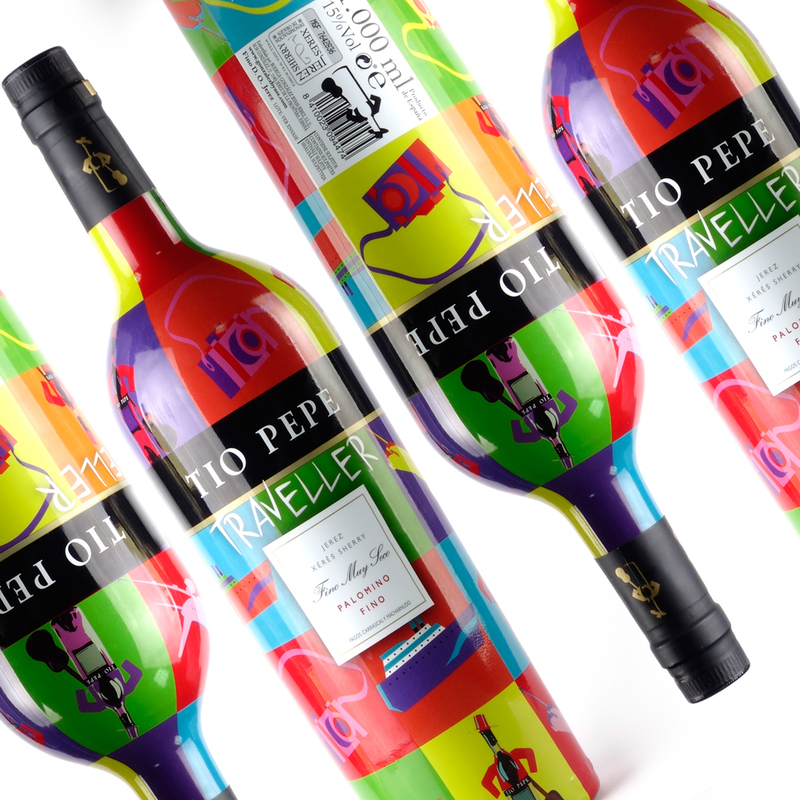 The packaging is inspired by the artworks of Pop artist Andy Worhol, and will be available at an RRP of €9.15 in airport outlets across Spain for six months, before being released worldwide later this year. González Byass is responsible for 10% of the total planted area of the Denominación de Origen Jerez-Xérès-Sherry and its Sherries are exported to 105 countries worldwide..